We provide replacement window quotes in 5 minutes online without a salesman coming to your home. Go to my website or call me and with a little info I can send you an exact quote within minutes. If you decide go with Zen, we will send my head installer for exact measurements and your windows will be installed by licensed, factory trained installers in 2-3 weeks. The best part is we require no money up front! You pay us when the job is complete and you are happy! The Zen way. 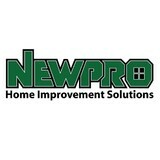 NEWPRO Home Improvement offers exceptional replacement windows, doors, baths, showers, roofing, and siding to New England homeowners. For over 75-years, NEWPRO has served New England and partnered with national brands including KOHLER, Jacuzzi, and Marvin. NEWPRO is a GAF Master Elite Certified roofing systems dealer, Progressive Foam Preferred Contractor for insulated siding systems, and an expert provider of bath & shower replacement systems, walk-in tubs, and showers for homes throughout New England. Harvey is a leading manufacturer and distributor of high-quality building products with 13 showrooms and 36 branch locations throughout the Northeast. For over 50 years Harvey has been inspiring home owners across New England (and beyond!) with our custom new and replacement windows, specialty entry doors and large variety of building materials to take your project to the next level. 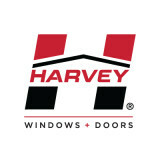 When you choose Harvey, you’re choosing peace of mind. You can rest easy knowing you’ve invested in a company that stands behind its products and offers best-in-class warranties and field service. We sell directly to contractors, so to get the job done right, visit our Harvey Prozone (www.harveybp.com/prozone) where you can connect with an expert installer in your area. Winner of the 2015, 2016, 2017 & 2018 Angie’s List Super Service Award! Renoviso provides custom online prices and expert installation on windows, siding, roofing, patio doors, entry doors, and flooring projects. We’re a fully licensed and insured general contractor and serve all of MA, RI, NH and Greater Philadelphia. Get fully customized price quotes including installation directly on our site or a short phone call with our Project Consultants. Our approach is simple: price transparency on quality products from the best brands in home improvement. We offer quality craftsmanship without pushy sales, guaranteed. Renoviso CEO and Co-founder Eric Horndahl and his wife found out first-hand how frustrating it is to do a home renovation the ‘traditional’ way when they bought their current house in 2012. We knew there was a better way. Renoviso’s full-time award-winning team helps you manage your project from start to finish. Our process is simple, and we’re with you every step of the way: - Get a custom price including installation directly on our site or by phone - Have a free in-home consultation and our experts get measurements and answer questions. It’s a 20-30 minute visit with no sales and no commitment. - We have your products custom manufactured and then professionally installed by our expert installers We back our installation work with the best warranties in the industry -- and our reviews speak for themselves. We’re proud of our work and we hope to have the chance to help you. Rite Window serves New England, They sell and install high quality replacement windows, including the Andersen Woodwright Series and Rite Window's private label vinyl brand. Rite Window is an Energy Star® Partner and all their window and door styles are Energy Star certified. All products carry a 50-year manufacturer's warranty along with an installation warranty. Rite Window also employs a full-time service department to cover warranty issues and repairs. Three Sons Window & Door is a family owned and operated remodeling business. Paul Nutile and his son Robert work side by side, offering their clients more than 36 years of experience in the construction trade. Three Sons is dedicated to making your renovation plans a reality by providing you with comprehensive construction services at a reasonable price. We are responsive to our customers’ needs because, at Three Sons, we realize that remodeling your home can be a big undertaking. Our years of experience, combined with our commitment to the success of your project, will take your worries away. In the end, your satisfaction is always our goal. Every project is unique and that is why Three Sons offers a variety of products and guides customers in selecting the right product for their application. We insist on quality products because they’re a necessary component to completing your project in a way that will make us both proud. Replacement Windows from Window World of New Hampshire are the perfect combination of beautiful, classic style and next-generation technology. We offer quality windows and doors at affordable prices. Unfortunately, it’s not uncommon for us to replace windows that are less than ten years old. A lesser quality window that isn’t installed correctly could lead to another replacement project just a few years down the road. Renewal by Andersen prides itself on professionally installing the highest quality custom-made replacement windows and doors to meet the exact specifications of your home. We then back up both our products and installation with one of the strongest limited warranties in the business. That’s value and peace of mind you’ll enjoy for years to come. Andersen windows are consistently rated as one of the top replacement windows in the industry. Our fibrex technology is superior to the material and construction of other premium window brands. In addition, our guarantee is backed by over 100 years of experience. Selectwood is N.E.’s premier specialty building material dealer located in Portsmouth NH. Since Selectwood is not a conventional “lumber yard” it allows them to carry a more in depth in inventory and be more expert in their specialty products. For instance, Selectwood inventories an extensive selection of finish and specialty lumber products. Their inventory includes an extensive collection of cedar from all over North America as well as Douglas Fir, Redwood, Meranti and more. Their lumber is used for exterior applications such as shingles and siding as well as interior applications. When it comes to composite lumber products, Selectwood’s selection is comprehensive including boards, sheet stock and moldings. Decks and porches are an important place to relax and enjoy the outdoor environment. Today the options for decking in wood and composite materials can be a bit overwhelming. Deck railings have also become more sophisticated but yet more maintenance free. These are important home investments that need careful selection. Selectwood has indoor model display decks with many products in wood and the latest composite materials from leading manufactures such as Azek, TimberTech Armadillo and Zuri. When it comes time to see the latest options Selectwood is the place to go. When it comes time to beautifully finish a project Selectwood has architectural hardware displays from leading manufactures such as Baldwin, Nobilus, Rocky Mountain Hardware and Emtek. Regarding moldings, Selectwood’s collection includes moldings made from Poplar, Pine, Western Red Cedar and Cellular PVC. If a customer is looking for a molding profile that is not part of the standard collection, Selectwood can create an identical molding, often in a week or less. Clear Advantage Windows & Doors LLC is an Authorized Dealer for Lepage Millwork. We offer design consulting services to our customers to help them meet their unique window and door specifications. We also Deal a variety of other products such as a wide range of quality hardware, Vinyl Windows by Kohltech, Interior Doors by TruStile and much more! "Authorized Andersen Dealer" Experience, Customer Service and Flexibility are the hallmarks of JB Sash. We have been leaders in the window and door business for over 75 years. Our professional staff is highly knowledgeable and trained to help you find the right products for any project. We offer an extensive range of services including shop drawings, custom carpentry, delivery and installation. In addition to an onsite manufacturing facility and warehouse, our convenient Chelsea location features a beautiful showroom which is open to the public. Whether you’re building a new Burlington home, remodeling an old one or just replacing a few windows that are past their prime, your window dealer in Burlington, MA will help you pick the right windows for your needs, home style and budget. Windows come in so many sizes and types that expert advice and direction is invaluable in helping you make the best decision. These pros can also help you with custom window designs that complement your space better than something ready-made. Lastly, if you are interested in doors with windows, these experts are also knowledgeable about sliding doors, French doors and other paned portals. Your window pro might work closely with other Massachusetts builders and remodelers as well. Here are some related professionals and vendors to complement the work of window sales & installation: Window Treatments, General Contractors, Home Builders, Specialty Contractors, Siding & Exteriors. Find a window dealer on Houzz. 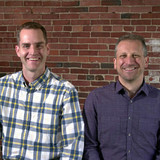 Narrow your search in the Professionals section of the website to Burlington, MA window dealers. You can also look through Burlington, MA photos to find examples of windows that you like, then contact the window professional who worked on them.